Your content is what people are going to buy. So you don’t need to be a “professional writer” to “write” an eBook. In this post, I’m going to share with you the strategy of “content enhancers”. 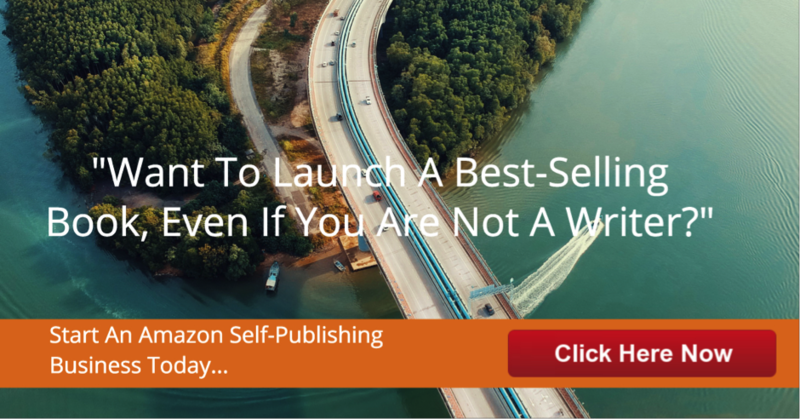 Note: If you need a step-by-step system on how to launch an eBook business, check out the Operation Bestseller Program. I’m not going to talk about how to use proper verb tenses, structure sentences or transition from one paragraph to the next. Instead, I’m going to share some useful tips to help you in the writing process – the experience – so you’ll be able to create information products faster, easier and, ultimately, better. There are numerous ways to add extra content to your eBook as you are writing it that will both improve the quantity and quality of your information. Quantity. By using what I will refer to as “content enhancers” you can quickly create additional pages of information for your eBook which will (a) allow you to more quickly write a full eBook, and (b) increase the perceived value of your eBook due to its increased size. Quality. More than just a subtle way to add more length to an eBook, by using these “content enhancers” you’ll do just that … enhance the content. In other words, you’ll improve it; make it better. Ultimately, you’ll have a much higher quality version of your eBook upon completion. A content enhancer is any piece of information that clarifies, illustrates, supports or improves the level of education and enjoyment a reader experiences as they consume your eBook. DEFINITIONS. Look two paragraphs above – what do you see? You see a box with a definition in it. To be precise, it takes up 1/6 of a page and took about 10 seconds to write. The important thing is – it gave me SOMETHING to write about … and it allows me to clarify a concept I’m sharing so you better understand. The point: definitions are a great way to add extra content while further explaining important points in your document. QUESTIONS. Another great “enhancer” is to insert questions for your reader to answer as they make their way through certain areas of your content. Think in terms of a “workbook” – how can questions be used to aid the reader in making decisions, examining their lives, reviewing criteria, etc.? (1) Which of the following emotions most often produce overeating? (2) What dieting “rule” do you find most difficult to follow? (3) Based on the formula I just shared, what changes do you need to make in your eating habits? QUOTES. Perhaps one of the easiest kinds of “enhancers” to use is a quote. They can be used at anytime during your eBook, but are especially appealing at the beginning of a new section or to expand on an important thought. You can drop by Google.com and search for “quotes” or “famous quotes” and you’ll find several great directories you can visit to find appropriate quotes. Example: In one recent project of mine I was encouraging my readers to take action. I quoted Wayne Gretzky to illustrate the point: “100% of the shots you don’t take don’t go in”. Perfect. EXERCISES. As a writer, what is your ultimate goal? If you’re honest, it’s probably “to make money”. Okay, what is your SECOND ultimate goal? J Again, if you’re like me, your secondary goal is probably to help people. In other words, you’d like your customers to actually gain some value from purchasing your eBook. Sure, we want to make money – but we also want to make a difference. So, another “enhancer” to include in your eBook is one or more “exercises”. That is, give your reader instructions on specific things they should do in order to aid them in accomplishing what it is they hope to accomplish after having bought your eBook. You might offer brainstorming exercises, internet research tasks, “homework” assignments, etc. Example: If you’re writing an eBook on “success”, then you might have the reader write down their ten biggest goals in life. EDUCATION. The first and foremost reason is to “educate” the reader. That is, I use stories to better explain or illustrate a concept that I’m sharing. When readers can “see” what you’re trying to convey, it goes a long way to engraining the thought into their mind in a useful way. A good story that helps the reader visualize a core concept you’re explaining is another great enhancer to sprinkle into your eBook. ENTERTAINMENT. One of the things I hear over and over again is how “enjoyable” my writing is. Why is this important? It’s important because very few people have the discipline to finish reading something that is boring. And if they don’t finish it, they won’t use it. I’ve failed as a writer if that happens. I want to educate the reader AND entertain them – when that happens good things always follow. iii. EXPRESSION. The third reason why I tell stories is because it allows me to express who I am. People get to know me and my beliefs. I can’t tell you how many “friends” I’ve made over the years because we connect on spiritual and relational levels due to our common interests and viewpoints. When you inject your personality into your writing, you’ll build a “trust” relationship with your readers which will translate into loyalty. That always pays dividends over time. DIFFERENT WAYS TO ACCOMPLISH.One thing you can do is to share tips for multiple methods of accomplishing a specific tasks. If I tell you to “search Google.com for joint venture partners” I might go on to share “5 different ways to find JV partners”. Back up – did you see what I just did? I shared two “tips”. VISUAL AIDS. Sometimes it can be very helpful to insert a diagram such as a chart, drawing, screenshot, graphics, picture, video link or other visual aid in order to thoroughly explain a concept. Example: If you were explaining how to use a software program in your eBook, it would be helpful to see a screenshot of the software interface to “show” the buttons, menus, etc. that you are referring to in your text explanation. I could have simply listed it just as you see it above with no explanation. And you probably could have figured most of it out. However, by sharing complete details on each of the items contained in this list I’ve gotten content for the entire blog post. Whenever possible, create lists of ideas for a concept you’re sharing in eBook – and then provide as many details for each entry on the list as possible. When you “work in content enhancers”, it will not only make your writing easier to complete, it will make your eBook better when it is completed.